The Cold Weather Payment is paid if you receive certain benefits including income-related Employment and Support Allowance and Universal Credit. It is made when your local temperature is either recorded or forecast to be be an average of zero degrees Celsius or below over 7 consecutive days. This applies to the period 1st November to 31st March. £25 is paid for each 7 day period. This is known as the "Core Group". Customers in vulnerable groups such as those on low income or on certain means tested benefits may also be able to apply. Eligibility for these customers will vary between energy suppliers with some being more generous than others. The following suppliers are part in the scheme. Those who automatically qualify for the scheme should get a letter by 7th December 2018. It is recommended that you check with your supplier as soon as possible. The discount will not affect Cold Weather Payments or Winter Fuel Payments. If you were born on or before 5th August 1953 you may be eligible for a Winter Fuel Payment. The payment is between £100 and £300 depending on your individual circumstances. If you receive state pension or another social security benefit (but not housing benefit, Council Tax reduction, Child Benefit or Universal Credit) the payments will be made automatically. If you do not receive a payment and you think you qualify you will need to make a claim after 31st March 2018. 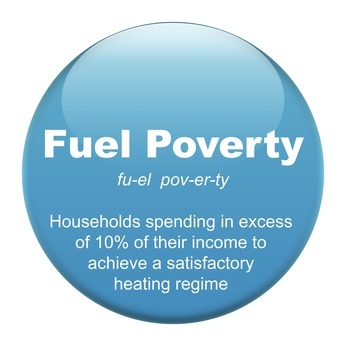 The Winter Fuel Payment does not affect other benefits and is tax free. Home Energy Scotland is a network of local advice centres covering all of Scotland. It is funded by the Scottish Government and managed by the Energy Saving Trust. It's expert advisors offer free, impartial advice on energy saving, keeping warm at home, renewable energy, greener travel, cutting water waste and more. Telephone FREE: 0800 808 2282 for help you cut your energy bills and stay warm this winter. It can direct you to grants, discounts and free insulation offers funded by the Scottish Government or energy companies in Scotland. Energy suppliers are obliged to offer a Priority Services Register to its vulnerable customers. This includes consumers who have a disability, a visual or hearing impairment, long term ill health or over pensionable age. 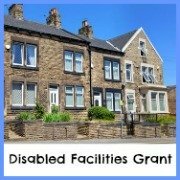 It provides free services such as priority reconnection after power cuts, regular meter readings if you’re unable to do it yourself, and bills provided in large print and Braille if required. If you require electricity for essential medical equipment including electric beds and hoists the supplier has to give you advance notice of any disruption to your supply. The suppliers are prohibited from disconnecting homes occupied by someone on the register from 1st October to 31st March. They may also provide annual as appliance safety checks for those who own their own home. To find out about these services contact your existing energy supplier. Charis administers charitable funds on behalf of a number of energy providers and local authorities. Their schemes provide financial assistance towards paying for bills and other essential household items. It also administers similar schemes for Anglian Water and Cambridgeshire County Council. To apply for support you usually have to be a current domestic account holder. These trusts supports families and individuals struggling to pay their bills and suffering from fuel poverty. The scheme is open to anyone but you must live in England, Scotland or Wales. Applications may be made online or you can print an application form from the website. The EDF Energy Trust assists with grants to help clean gas and/or electricity debt owed to EDF Energy and other suppliers. Copies of recent bills will be required. 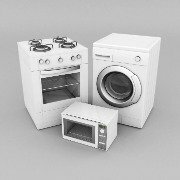 It is also able to help in the purchase of energy efficient white goods and cookers where a special need for the item is confirmed by a social worker or advice worker. Applications are only accepted by current domestic accounts holders at EDF Energy. To apply: complete the online application form or print a copy to post. Evidence of income and benefits will be required. E.on are able to help their customers on low income with energy saving home improvements. This may include a replacement boiler, loft or cavity wall insulation. To apply: complete the simple application form. The npower Energy Fund helps their domestic customers who are in hardship and struggling with paying their bills. It is able to award grants to help clear energy bills to enable the customer to take control of their bills in the future. It may also be able to assist with the purchase of white goods. Detailed information on your financial situation will be required. To apply: follow the link "Apply For A Grant" this will take you to a new page where you will need to create an account. This is managed by Charis Grants. Scottish Power operate a Hardship Fund to help customers who have difficulty paying their bills. You need to be in receipt of certain benefits or have a low income. Applications need to be made through a recognised Debt Advice agency. 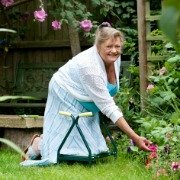 The scheme is administered by Social Enterprise Direct who will consider any applications. Citizens Advice have a search and comparison tool of all gas and electricity suppliers. You just need to add your postcode and a few questions about your energy use. 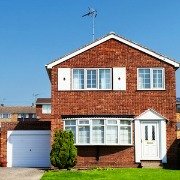 The Energy Saving Trust provides information on grants and energy saving tips for the whole of the UK. Divided into the four regional areas you can undertake an on-line search to find out what help you can get to to improve the energy efficiency of your home. Their online tools and calculators are useful for ideas on how to use less energy and have lower energy bills. Schemes and conditions vary around the country. There is a Scottish Grants and Discounts Database that is straightforward to access.